Home » Who, what, where and why? A map and a passport – now where to go? 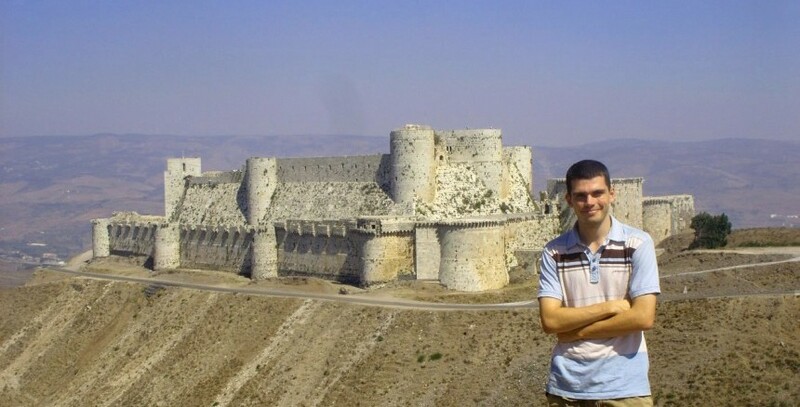 My name is Dan, I’m a 28 29 year old guy from London in the UK, who, having got out of university with a highly relevant Medieval History degree, went on to work for the rail industry in the UK, where some of the equipment dates back only slightly less than the Magna Carta. Several people, particularly my mum, might be interested in what exactly my plan is, and why I’m doing what I’m doing. I tried writing a traditional style page explaining my rational, but I wasn’t very good about keeping it structured and so it wasn’t the most straight forward thing in the world to follow. So I’ve adopted a new way of getting a structured approach that has the added benefit of making me feel self-important. I have answered below a number of interview style questions that I cleverly asked myself. Hopefully they go some way to explaining what I’m doing, where I’m going and why. If you still feel none the wiser, feel free to ask me a question of your own. Although your questions probably won’t be as good as mine. UPDATE – I wrote a separate blog post here in September marking the 6th month point of my trip, and now as I tip over towards what I think is the halfway point of my trip, I thought I should probably update this page directly – as some of the answers no longer make much sense. Updates are in italics. Q. Hi, I’m Daniel, who are you? A. Hi! I’m also called Daniel, what a tremendous coincidence! I’m a 28 year old British guy who’s spent the last 5 years working in the UK rail industry, mostly in the north of England. Q. Sounds fun, why did you give it up? A. There are several main reasons, for one, I felt I was getting to the stage where I didn’t feel like I was learning anything new and wanted a new challenge. I had also been constantly battling the urge to run of travelling again pretty much since I first started and occasional visits to Hull no longer felt exotic enough. In the end the two things collided and I ended up taking the view that there wasn’t likely to be a better time than the present to go off and try to have a bit of an adventure. I am definitely having an adventure. Q. So you’ve done a bit of travelling before then? A. Yup, although nothing really serious in recent years, previously I have backpacked in Morocco for a few weeks, a whistle stop 4 week tour of Peru, Bolivia and Argentina with friends and 7 weeks solo in the Middle East. Managed to fit in the odd quick bit of backpacking in Europe as well. Q. So what’s the plan this time? Where are you headed, how long do you think you will be? A. The plan is fairly “loose” but broadly speaking could be summarised as trying to get from the UK to Japan and back, going out via Turkey and Central Asia and getting back via Russia, Ukraine and the rest of Europe. Oh and I don’t plan to catch any planes. Some big changes here – I am no longer looking at turning around when I get to Japan. In fact I have booked a space on a freighter ship heading to Mexico in March. The plan is now to circumnavigate the globe. 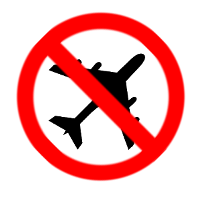 Oh and still no planes allowed. Q. You’re not flying? How are you going to travel then! A. Contrary to some suggestions, I’m not going to try anything crazy like just walking the whole way. Instead I will just be jumping on trains, busses and taxis. And in very limited circumstances I might find myself on a plane – for example if I find myself unable to get a Chinese visa in Central Asia I may decided to just fly to Hong Kong, and I’m also keeping an eye out on the situation in Burma. As I understand it, currently if I wanted to visit Burma I would have to fly in rather than use a land boarder. Q. Hang on – how are you going to get across the water to Japan? Swim? A. Believe it or not ferries run between China and S. Korea and between Korea and Japan and Russia – so it should be doable without the need to get my speedos out…. Which is a very good thing given my poor track record in water…. Q. So what’s the reason then? How come no flying? 1. First – because flying is a terrible way to travel, its loud, its claustrophobic, expensive and if you are lucky enough to get a window seat, all you are likely to see for most of the journey is clouds. 2. Secondly – because whilst I’m ok with the idea of the actual flying bit, I do have a small but terrifying fear of a horrifying fiery crash on either the take-off or landing part. I’ve got it into my head that I only have a set number of goes before I will get caught up in one, so therefore where possible I avoid flying. Of course coaches, trains and all other forms of travel can go fatally wrong, but they tend to involve lower amounts of highly explosive jet fuel…. 3. Thirdly (and most importantly) – because whilst flying is fast, and gets you to your destination quickly, I’m not actually sure I want to go to Japan. I’m more interested in the countries in between, in the journey itself, so therefore I’m in no rush. I reckon the whole thing will take about a year. Q. Hang on, you don’t actually want to go to Japan? Why are you bothering then! A. Ok that is a good point, its not that I don’t like Japan, its just as a holiday destination it has never really appealed to me. I’m not a sushi fan, never had a tamagotchi and the internet seems to suggest they are all obsessed with cartoons, some of which are disturbing. Very disturbing…. Q. Are you travelling on your own? I’m sure I will end up joining up with fellow travellers on parts of the journey though. Q. What does someone travelling for a year pack? A. Another excellent question. Hopefully I will have written a separate post saying just that on this link here. Otherwise you’ll just have to guess. Or Google for one of the millions of other packing lists. Q. What made you decide to write a blog? A. If Facebook has taught us anything about life in the 21st Century, it’s that there is no point in doing or experiencing anything, be it weddings, babies, new cars, holidays or just what you had for lunch, unless you can the show off and boast about it to your friends. This blog is a result of this same rather self-aggrandising need to update you on everything I’m doing. I am now also driven by a pointless desire to see the hit count for the blog slowly trickle up. Time has come to show that whilst my brothers suggestion is quite a good play on words if you are from the UK and familiar with the “No Fly Tipping” signs often seen around the countryside (meaning no illegal dumping of rubbish/refuse) it really doesn’t translate across to any other country. Naming my blog just brings confused faces and forces me into a needlessly long explanation of it. Q. So finally, what do you think you will miss most? Any questions I’ve missed? Let me know in the comments below. Well I’m guessing that however high an opinion I have of myself they probably won’t kidnap me just because they want to enjoy my company, and that therefore, if they want money, they should hopefully be up for letting me do a bit of a “shout out” video to get the plea for ransom money across to you all…. The “no updates” option might seem a good idea, but I’m likely to probably loose my laptop sooner rather than later and that might make this harder to update – don’t want any false alarms! Good call, yes I didn’t think of that, we should be alright then. On another note, hope to see more of Thomas Das Tank Engine and friends in future blogs! I work for Caters News, an international multimedia press agency based in the UK. We supply content to the media worldwide, including newspapers, magazines, broadcasters and online publishers. I saw your video of the world’s longest zipline. We would like to do a story on this for our clients and wondered whether this is something you would be interested in? FYI, there is no definite article “the” in front of Ukraine, it’s just Ukraine. You wouldn’t say the Germany or the the France, so since 1991, there’s no need to say the Ukraine! All the best with any new travels & I like your blog which is nicely written & interesting. Hey glad you like the blog. Yes I know it should just be Ukraine, although putting ‘the’ in front of it is commonplace so it can be easy to forget when quickly typing up a blog post. Changed now. Now all I need to do is actually visit it! A Container ship travel seems perfect. I’m based in Washington DC but would be willing to drive the breadth of the east coast of North America to make this possible. My older dog is 10, and having moved him from the UK to the US in 2010, I don’t want to repeat it. Is it possible via a container ship? Hi Laura, you would have to check with one of the freighter travel agents, but unfortunately I do not believe this would be possible. However if you are a bit more flexible about when you travel and fancy a bit of a holiday at the same time, I do believe you would be able to take dogs on the transatlantic crossings Queen Mary 2. (Between New York and Southampton). It won’t be cheap but then to be honest, neither is freighter travel. My trip across the Atlantic was about 1,700 euros. Great video (YouTube) and blog here. However Dan, your travel trigger so many other questions about your trips. I’m from Chicago and never knew the “No flying tipping”. For any English speaking person it would mean something in relation to tipping stewardess or something like that. LOL. Are there any videos of your trip to Peru? I have been planning a trip to Machu-Pichu for awhile. Travelling by cargo boats would be a major plus too. Sorry, for some reason only just noticed your comment. I didn’t go to Peru on that trip, but went way back in 2008, so any info I could give would doubtless be hopelessly out of date. What I will say is, that when I was there at least, there were several alternative trails to reach Machu Pichu outside of the classic, and often overbooked “Inca Trail”. Checking out one of them as a route to the city might well be worth it. WOW traveling on a freighter is not cheap at all. Between the US and Portugal it is more expensive than business class on any airline. As to following the Inca trail from Iquitos to Machu-Pichu the locals are saying that it has to be done with a very good guide as it is an unkempt trail and for the most part abandoned due to some sort of issue with FARC (????) Also apparently many issues with reptiles in the area. I really don’t plan in battling any reptile in South America or in Australia, LOL. Apparently there is a regular trail done by many that is a good two days hike. I like the idea of hiking so we will see about that. Way back when I did the trek to Machu Pichu I did go with a group tour. Back then there were several trails on offer, one of which involved going over/round a glacier if I remember right. However I know that the govt there are looking at scaling back the number of visitors to Machu Picchu to try to protect it so maybe they don’t offer them anymore. As for freighter travel – yep, defo not cheap, however its a false comparison to compare it to flying business class. What you are actually getting is a 12-14 day cruise with food/drink taken care of. If you are able to go as a couple it does also works out cheaper on a per person basis. Basically though its a travelling treat, not a regular way of getting around unless you have deep pockets. I hope you agree to me using them. Are you still travelling – it was all a long time ago, I assume you are back in the UK now (and back at the railway?). I’ve been back just over two years now, but hope to set of again on another trip again one day.